Samsung confirmed it will purchase startup mobile wallet developer LoopPay. At the time, Graylin declined to identify the smartphone maker to which he referred but it wasn’t hard to guess Samsung was the two-year old, Burlington, MA-based startup’s likely suitor. And, lo and behold, late last week Samsung said it will acquire LoopPay in a deal whose terms and conditions were not disclosed but provides the digital wallet developer with instant visibility and legitimacy. Samsung has an existing relationship with LoopPay as an early strategic investor along with Visa and Synchrony Financial. “This acquisition accelerates our vision to drive and lead innovation in the world of mobile commerce,” said JK Shin, Samsung Mobile Division president and IT head. “Our goal has always been to build the smartest, most secure, user-friendly mobile wallet experience, and we are delighted to welcome LoopPay to take us closer to this goal,” he said. LoopPay’s technology works on existing versions of Samsung’s Galaxy smartphone line and Note phablet lines and other Android devices as well as Apple’s iPhones. LoopPay’s Magnetic Secure Transmission payment system converts in-store payment terminals that typically accept credit cards into a reader of its technology, meaning stores and restaurants don’t need special equipment to accept LoopPay payments on enabled mobile devices. 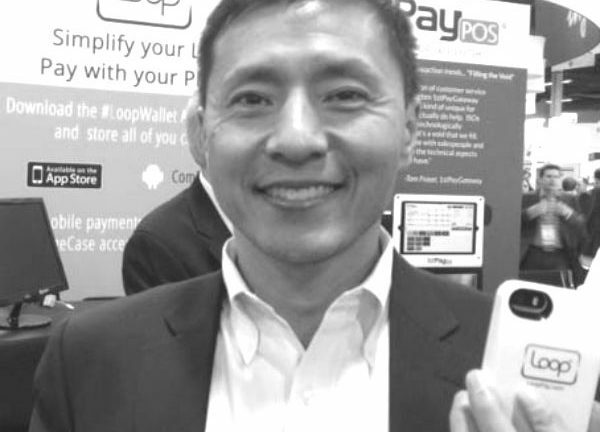 Users simply tap a LoopPay enabled device on a payment terminal to complete a purchase transaction. In effect, the LoopPay technology mimics a card swipe in that it wirelessly transmits the same information contained on a credit or debit card’s magnetic stripe to the store’s payment terminal. According to LoopPay, its technology works on a wide variety of iOS and Android devices, including the iPhone 6, 6 Plus, 5, 5s, 4, 4s, Samsung’s Galaxy 4, 5, Note 3 and 4, and phones from HTC, Huawei, LG, Motorola, Oppo, Xiaomi, ZTE and others. The developer claims its technology is available at some 10 million retail locations.